Surprise your dinner guests! 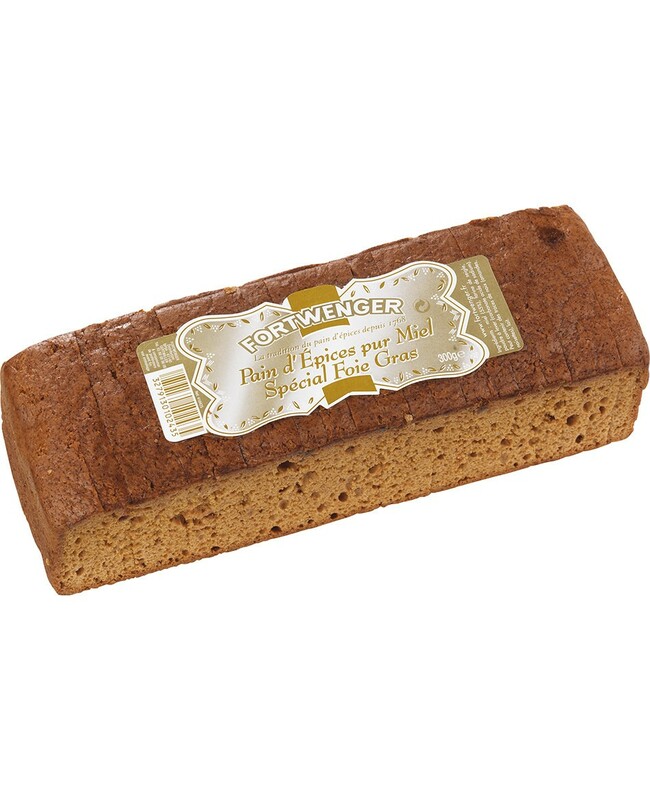 Thin slices of this particularly honey-rich gingerbread will make a perfect accompaniment for your foie gras, bringing out all its flavour. You can even toast it to give it a slightly crunchy texture. Delicious! Honey 55%, rye flour (gluten), water, raising agents (sodium carbonates, disodium diphosphates), flavourings.